As part of our suite of building services, MPM rents and operates an extensive inventory of top-of-the-line equipment that can be used to service your building. 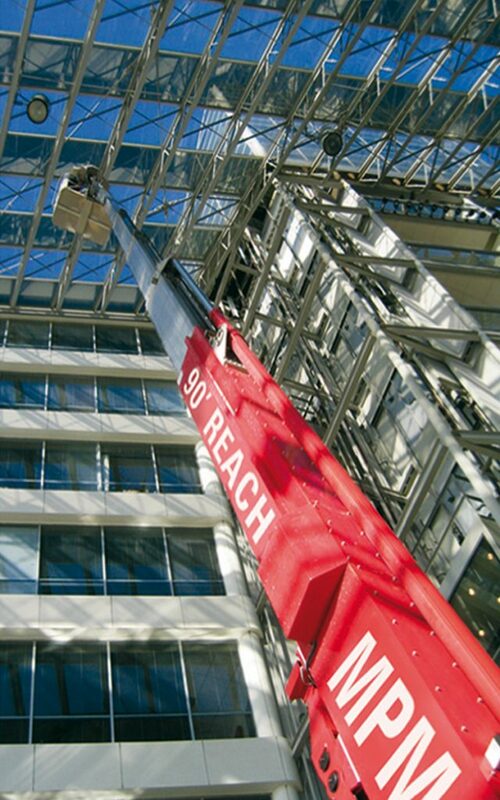 These extraordinary lifts were designed specifically for servicing large buildings and meet the most stringent safety standards. The electrical and hydraulic systems that move the lifts feature double safety devices for maximum protection while undertaking a number of different building services. Thanks to the low weight and narrow width surfaces of this lift, it causes no damage to indoor flooring, which can often be a costly affair. The lift is also tremendously mobile and maneuverable on account of its two pairs of wheels, which can be rotated on their own axles. 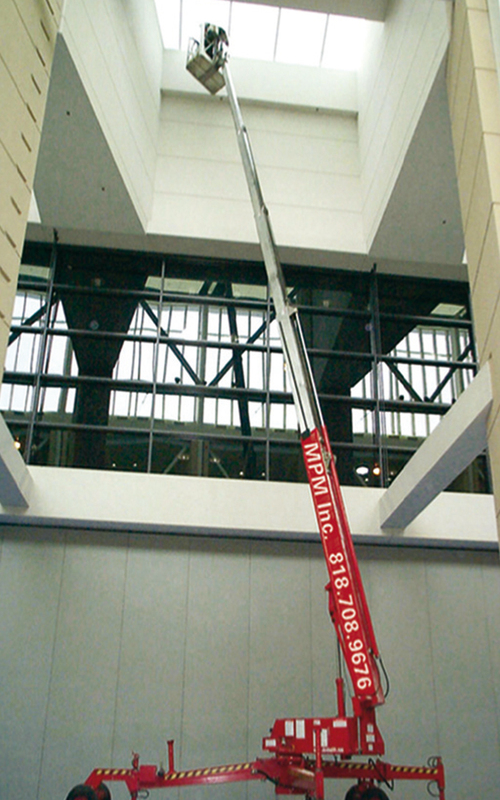 MPM can provide swing stage ranging from 6 ft. to 49 ft. in length. 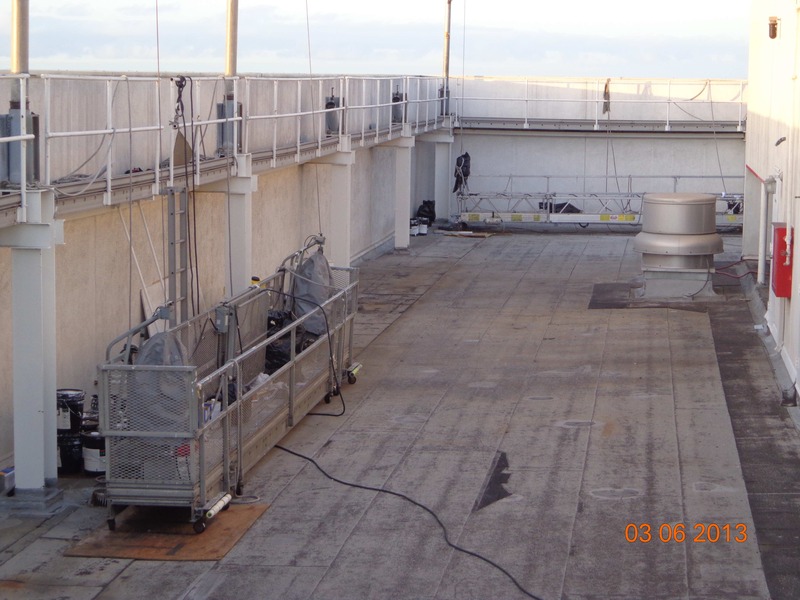 All of our stage rentals are complete and comprehensive, including all necessary motors, wire rope, safety lines, rigging, parapet clamps, and counter weights and beams. OSHA requires each building to have a yearly inspection by a qualified inspector followed by a 30 day Pre-Use inspection. 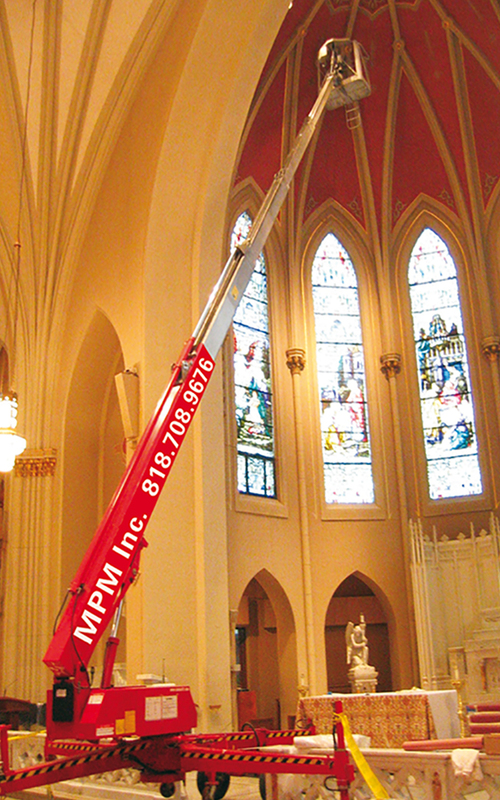 MPM has you covered for your 30 day pre-use inspection. 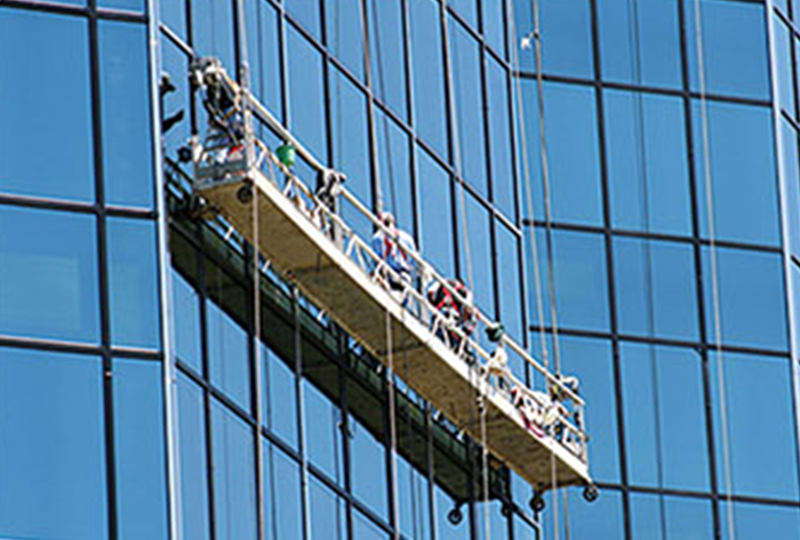 This is one of the most popular building services we offer.